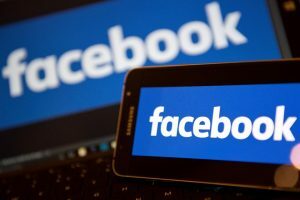 Facebook Ai Shut down abandoned an experiment after two artificially intelligent programs appeared to be chatting to each other in a strange language only they understood. The two chatbots came to create their own changes to English that made it easier for them to work – but which remained mysterious to the humans that supposedly look after them. The bizarre discussions came as Facebook challenged its chatbots to try and negotiate with each other over a trade, attempting to swap hats, balls and books, each of which were given a certain value. But they quickly broke down as the robots appeared to chant at each other in a language that they each understood but which appears mostly incomprehensible to humans. In experimenting with language learning, a research algorithm ended up deviating from human language in a way that wasn’t really useful… it started generating what one might call “functional gibberish”. It was functional in that it continued to carry information, but it wasn’t very efficient or useful. You could compare it to the weird routes that Google Maps generates sometimes… sure they might save thirty seconds of driving, but they involve ten turns down obscure side streets instead of three turns on main streets. The result was intriguing because it showed the algorithm’s capacity for generating its own encoding scheme, and also showed what can happen with unconstrained feedback in an automated social language product. The algorithm wasn’t “shut down” any more than myriad algorithms are shut down every time engineers change the algorithm. Most likely the algorithm was only running on a test dataset and was never “live” or interacting with real humans. Could this idea, taken to its logical extreme, lead one day to software being “alive” and “conscious”? Maybe. It is certainly an intriguing possibility.